US Coast Guard is in communication with the cruise ship, dead in the water, about 136 miles north of Merida, Mexico. The ship’s automatic fire extinguishing systems was activated and the fire was contained to the aft engine room and then isolated. The shipboard fire-fighting squads continue to monitor the situation. No casualties or injuries have been reported. 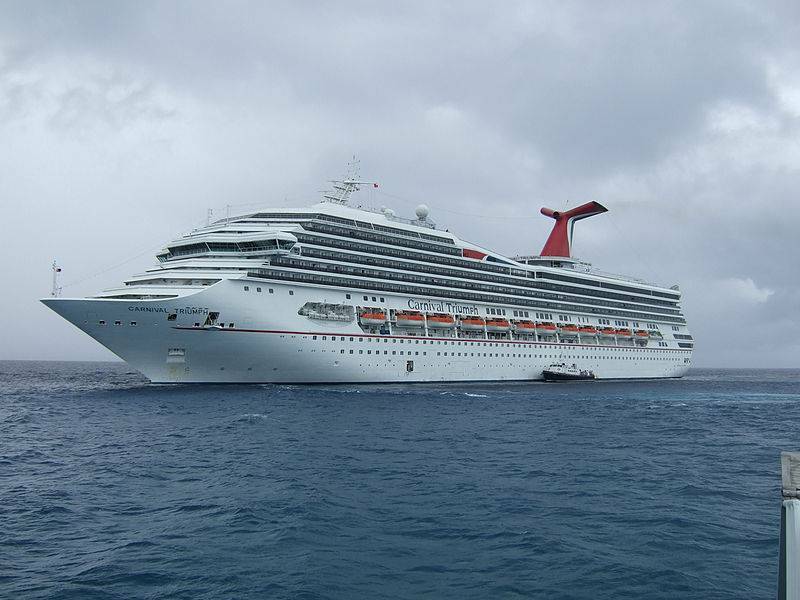 Carnival Triumph is operating on emergency power and is receiving supplies from another cruise ship on scene. Tug boats have been dispatched to assist the disabled ship. The Coast Guard Cutter Vigorous has been diverted to provide assistance if needed and is scheduled to arrive early Monday morning. Carnival report that there are 3,143 guests and 1,086 crew on board and all guests have been asked to remain in the ship’s public areas and open decks.